Learn about the US Army's persistent struggle to find the right balance between a tool's weight and its functionality. Discover the army's solution to this enduring conundrum. Appreciate the immense creativity and innovation displayed by these devices. Learn to appreciate the value of an entrenching tool to the soldier when under fire. Expand your knowledge of the tools available to the troops during the time period of your specialization. 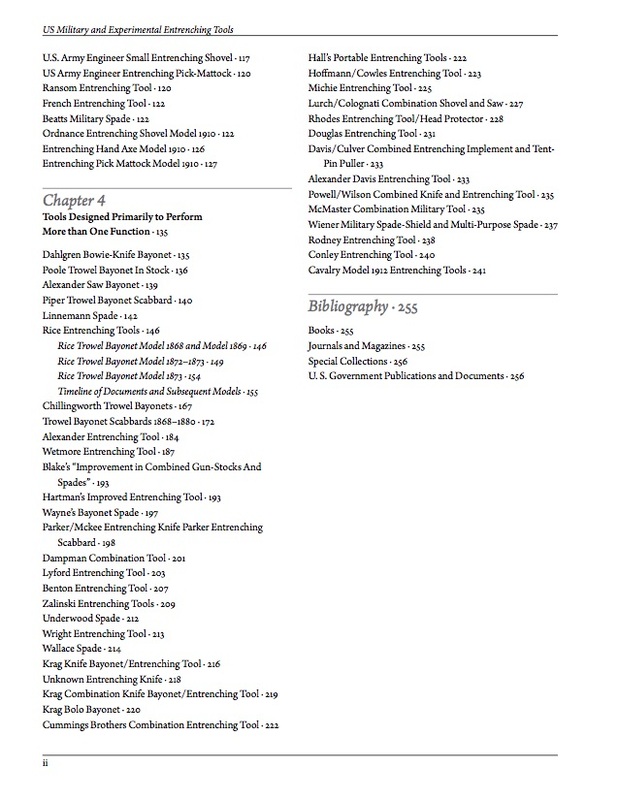 View clear photographs of unusual and/or unique entrenching tools, many never before seen in print. Learn new information about such reasonably well-known devices as Rice's trowel bayonet, Elliott's entrenching tools, the Ordnance entrenching tool, etc. Use your newfound knowledge to purchase rare entrenching tools at reasonable prices. Impress fellow collectors with your knowledge of entrenching tools from their inception during the Civil War to their essential culmination at the outbreak of World War 1. 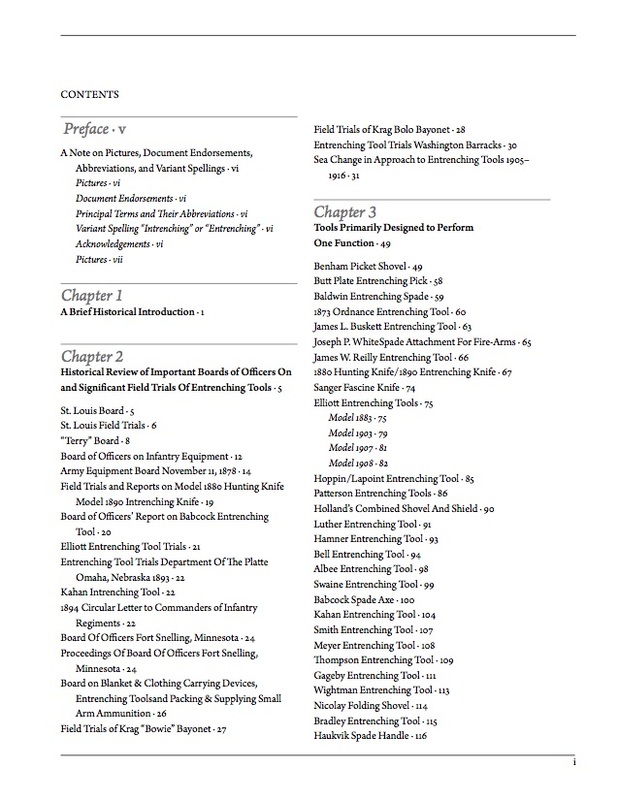 Click on a thumbnail to view the table of contents in PDF form.